Taking a walk through a lovely garden is the best way to relax and free your mind from worry and clutter. Even just for a moment to two. You really can “Stop and Smell The Roses” with a garden path. Paths provide an invitation to discover your garden and can be built during most seasons. Plantings and pruning are seasonal. 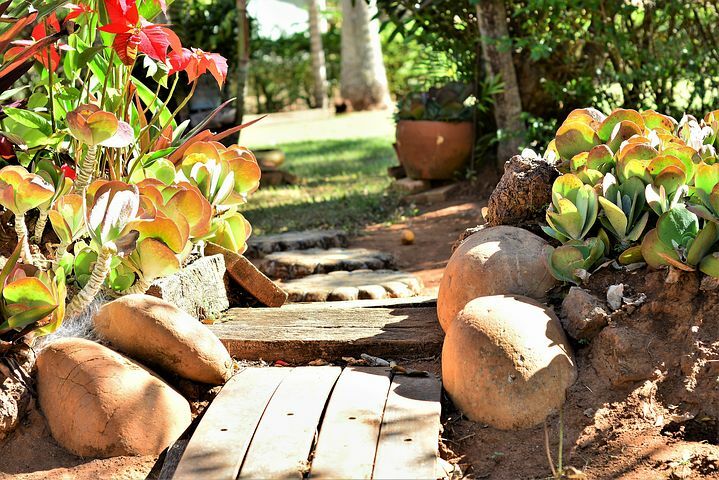 Creating a garden path or walkway is an All Year Gardening activity for you to enjoy your garden all year. If you want to enhance the aesthetic beauty and character of your garden take a look at the many choices of style, materials, and design. 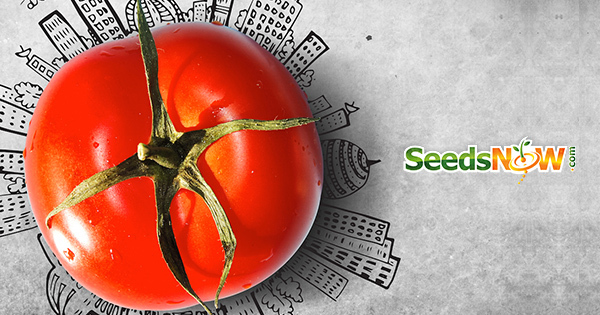 From the quirky, rustic, rambling garden to the majestic designer home there is something for everyone. 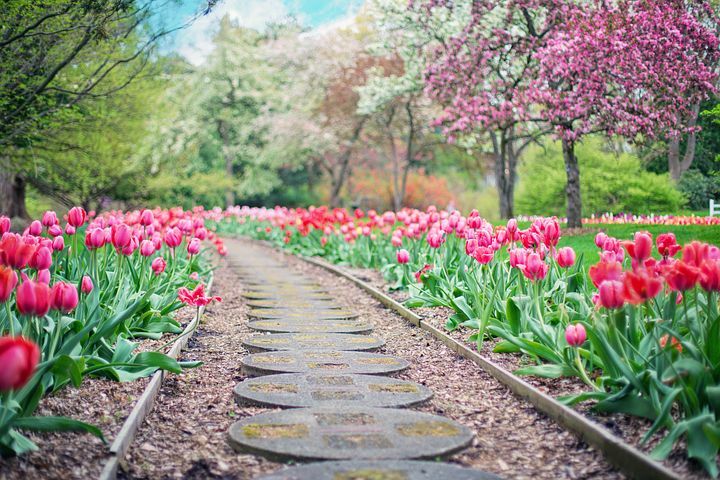 Read on for 100 garden path ideas, first here are some beauties. 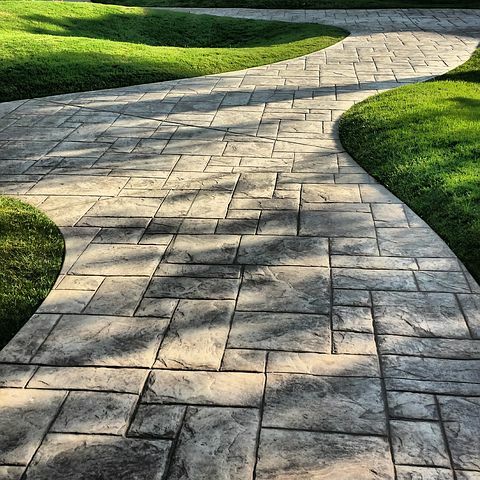 Creating the perfect garden path comes down to a few simple things you will may want to research in greater detail. One of the best benefits is the invitation they provide to explore your garden. If you truly want to take your friends and visitors on a journey and an unforgettable experience, a garden path will provide the way. Furthermore, a garden path that leads to a stunning garden, a seat, statue, birdbath or fountain is something to improve the appeal of your home. If you’re planning to sell over the next few years, this is indeed something to keep in mind. 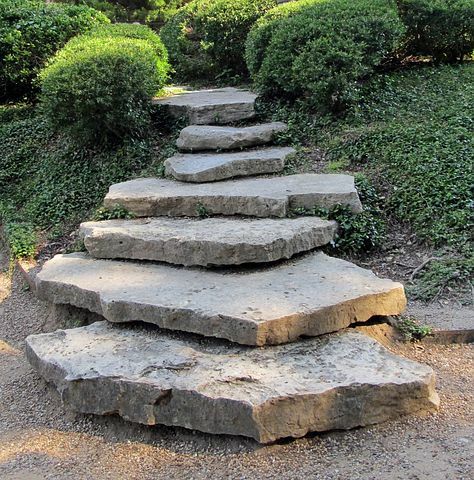 With paths and stones, you can create a family history in your garden. 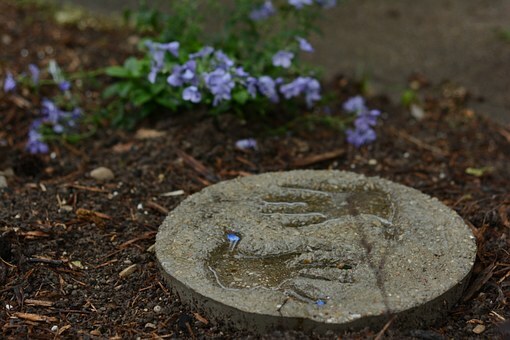 Homemade stepping stones can be engraved with dates, family symbols, hands or footprints and perhaps even names. Plants for birthdays and anniversaries provide a lovely bonding activity for your family and with your garden. You can celebrate the life of a loved one each year or a pet with a tree or beautiful bush, roses are popular rememberence plants. Both the livability and overall functionality of your garden can be improved by knowing where and how to set up your garden path. Consider the purpose of your path. Will the kids practice their latest skateboard moves? Is the path to be used daily from the car to the house and does anyone wear high heels that could get stuck between pavers. Do you have frequent visitors, older folk or mothers juggling babies and toddlers? Will your path provide the invitation to explore hidden areas or features or your garden? Where does the water from the rain naturally run in your garden, a path where water pools will not remain in place for long. 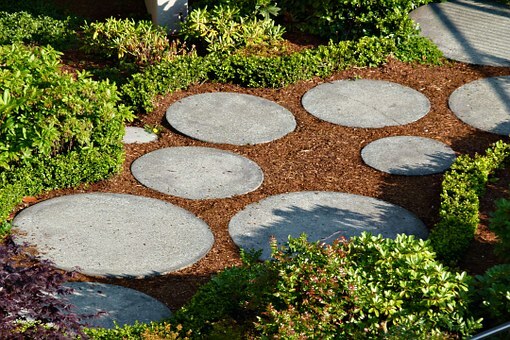 Gravel is one of your most popular options for a garden path. It has the twin benefits of being easy and low cost. On the other hand, it’s inorganic, so it’s not going to do much for your soil and it’s inhabitants. Whereas, for a living path use turf to create your path. 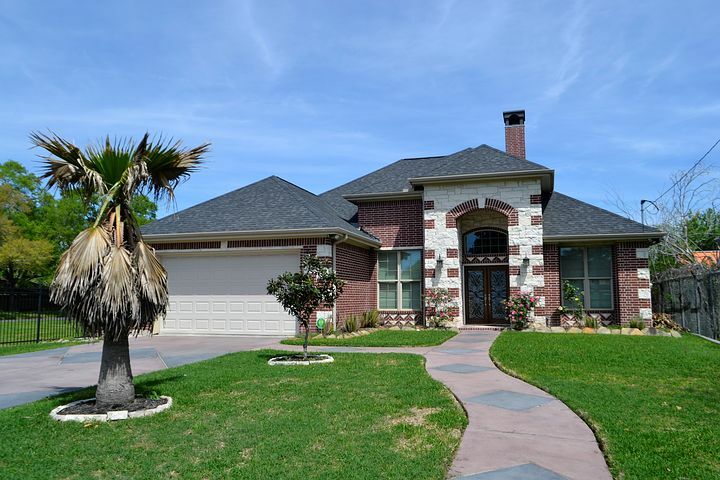 It looks stunning, but taking care of turf can take serious maintenance and water. Large stones laid side by side makes a quick and easy path. Mixing with wood creates a unique path for a quirky garden. 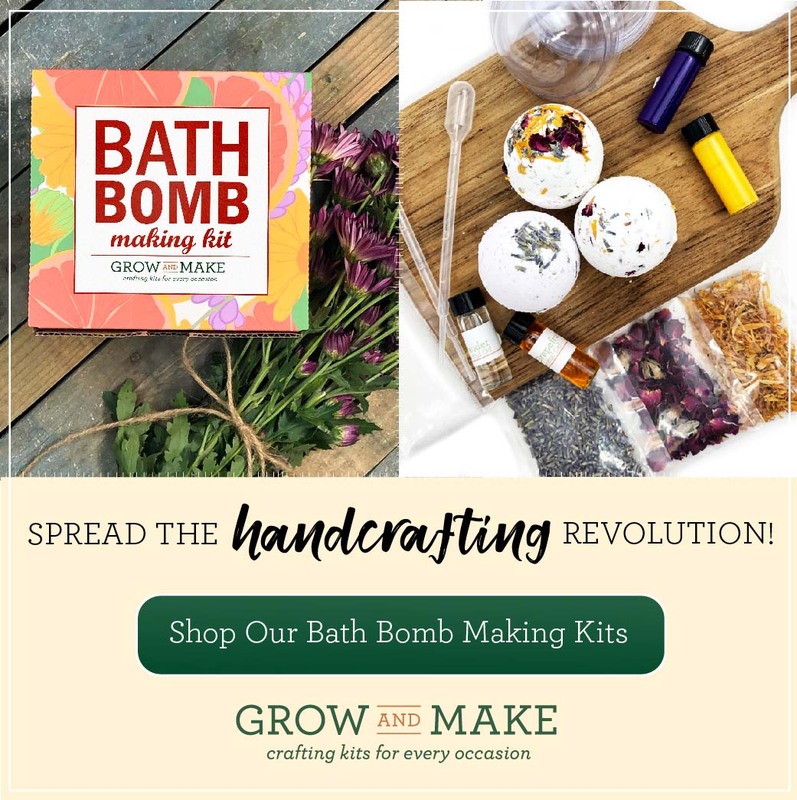 You can even make a little piece of the garden month by month for an All Year Gardening Project. Creating a garden path is an All Year Gardening activity. Another possibility is dry-laid pavers. These are great for gardens that get a lot of use, but as you can probably guess from looking at some examples of dry-laid pavers, you’re looking at a very pricey option.It just depends on the area, pattern and materials used and without any doubt, a lasting impression will remain with your visitors. Wood mulch and stones/mulch are two more options. 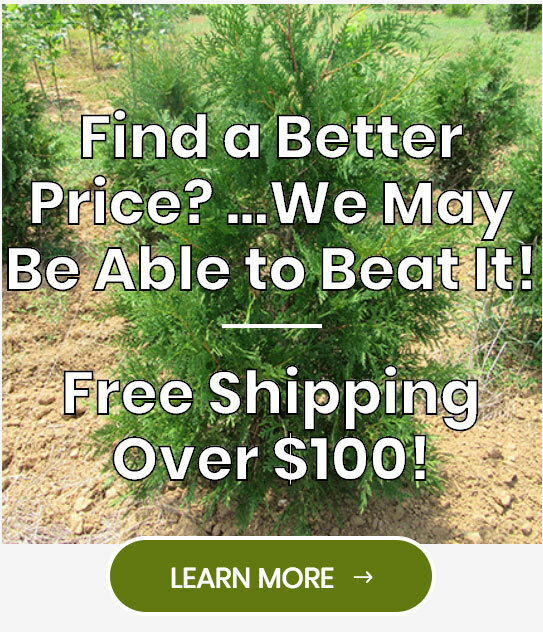 Wood mulch is easy to set down, and it’s quite affordable, but you’ll have to replenish the mulch every year. Stones/mulch are charming for moderate-use gardens, but the mulch still needs to be replaced. If slips and falls are to be prevented, you need to take a few precautions and let’s point out some common issues. The obvious is to ensure your path remains in place, for a complete stone path ensure the stones are fixed and don’t wobble. Securing stones with cement as you create your path will fix this problem, sand underneath may shift with rain or melting snow giving movement. This is especially dangerous for older folk who may topple over. Children on the other hand may find the great wobble fun. Watch for pavers that have moved creating trip hazards. These need to be lifted and reset to be level with the other pavers. Paths in the shade may grow moss or more likely algae. The surface becomes slick as ice and very dangerous. Leaves left to fall on paths to rot will also become a slip hazard. Sweep or blow the leaves away regularly to avoid the need for scrubbing or adding other chemical removers. The easiest way to remove algae, moss and rotting leaves is with a pressure jet hose. First remove any dirt, branches, and leaves, sweep with a stiff gardening brush and then start with the pressure jet. Needing a workout? First, give the path a sweep with a garden broom or stiff deck brush. Then doing the path in stages, sprinkle with beach or other sand and down on your hands and knees and scrub and scrub. Others will add 1 cup of bleach with a buck of water, pour on and scrub. This is as close to using a chemical as I’ll suggest. 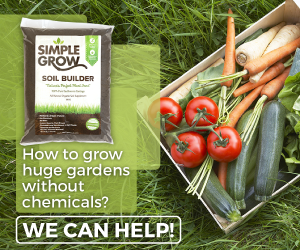 Avoid any substances that may leave a residue in the garden and damage or worse, killing your plant’s and other creatures. Instead of bleach, you can use dishwashing detergent, depends on what you have available and always rinse thoroughly to dilute any chemical residues that reach the garden. For moss, wet the area with a hose and sprinkle sodium carbonate crystals straight from the bag over the moss. In a couple of days, the moss will die and turn brown. At this point, use a spade or stiff brush to sweep away the moss to scrape as much off the path and place in the bin. When the moss and remaining crystals have been removed, give the path a good rinse to dilute any residue. If your’e wondering where to find sodium carbonate crystals their retail name differs depending on your country of origin. In the US it’s called Dri-Pack Soda Crystals, the UK Bexter Crystals and Australia also Bexter or Soad Washing Crystals. Look at the ingredient listing for sodium carbonate crystals is the best guide. We promised 100 Stunning Garden Paths and hope you enjoy this video.